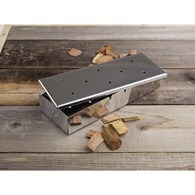 Our cast iron rooster trivet protects your kitchen work top and dining rooms table from hot pans and dishes. 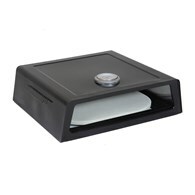 The work top saver is made from cast iron so is solid and hard wearing with rubber feet to prevent slipping. 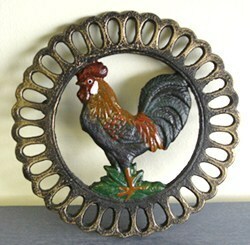 There are no reviews for Vintage Cast Iron Trivet Rooster Work Top Saver.